Hello lovely people! How was your weekend? I decided to go to Borough Market on Saturday with one of my bff’s just to see and experience. I seem to like markets, especially ones that are food based (click here and here to read more). A short walk from London Bridge station and you’re in the hustle and bustle of this vibrant market. You know you’re in the right location because the smells beckon you to partake in whatever is on offer. Not only are there food stalls but there are restaurants dotted around the market which serve up scrumptious meals for you. You can find anything from freshly baked bread of all sorts to fresh produce to cured meats to olive oil to cheeses. Most of which seem to be organic or at least straight from the farm so it cuts out the middle man and reduces over processing. 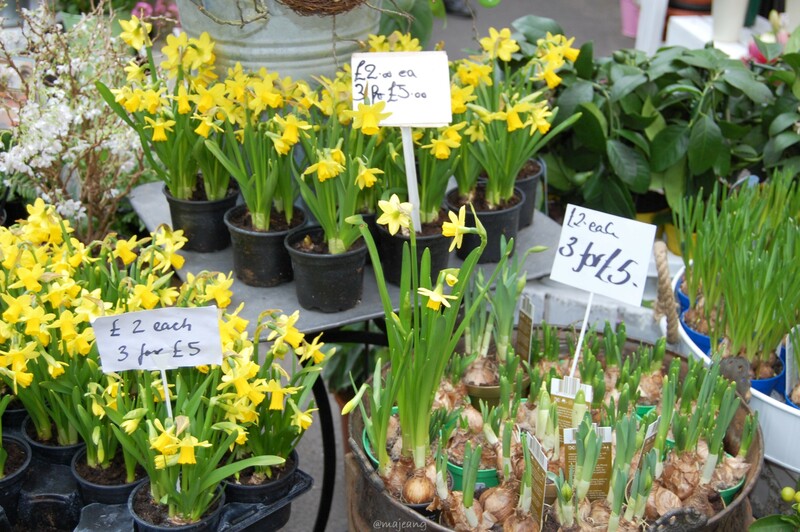 Apart from the delicious array of food that’s on offer, the flower stalls and shops are pretty gorgeous! Freshly cut flowers to accompany that meal you’ll whip up with the fresh ingredients you just purchased. Or if you’re looking for something to add to your garden or home office you’ll find something to fit. If you’re ever in the area, do go to Borough Market and have a wander and remember to look up so you can see…. Thank you for reading and comment below if you’ve been to Borough Market and what did you like about it.